Can you log your forest and eat it too? "REDD is at a real crossroads. The expectations going into Copenhagen were not met." BOGOR, Indonesia (22 November, 2011)_Connecting the idea of paying developing countries to reduce their greenhouse gas emissions with markets that demand sustainable products could be a step towards a new model of world development and fend off increasing pressures over access to land, said Daniel Nepstad of the Amazon Environmental Research Institute. The global demand for food is growing faster than supply and has led to a land crisis that puts forests on the frontline of agricultural expansion. The crisis concerns proponents of rural poverty alleviation, food security, forestry, agriculture, water security, and biodiversity alike. “What’s missing is a shared agenda of change. REDD is an example of how something arises to fix one aspect of the land crisis, while other groups don’t see their agenda addressed. Maybe that’s a mistake we made with REDD, we defined the agenda too narrowly,” said Nepstad in conversation with Center for International Forestry Research scientist Christine Padoch. The UNFCCC Conference of Parties is developing REDD, a funding mechanism for keeping carbon in forests, as a way to address climate change. In the scheme, developed countries pay developing countries to reduce their greenhouse gas emissions from deforestation and forest degradation. Approached in the right way, Nepstad believes that REDD could also be the foundation for a new, more diverse model of rural development and a step towards solving the global land crisis. More than 40 nations are already signalling interest in funding mechanisms by moving forward with REDD projects. Long-term funding for nations that reduce their emissions or increase their carbon uptake could also be used to address water security, food security, poverty alleviation and biodiversity issues, and simultaneously prevent the worst aspects of the land crisis. Combined with governors tailoring plans at the subnational level and stronger connections to businesses and markets that want zero-deforestation supply chains, REDD has the potential to help secure food supplies without hindering agricultural production. “Blairo Maggi [then governor of Mato Grosso, Brazil] left office in 2010 with a 90 percent reduction in deforestation under his watch. Agricultural production continued to increase during that period. We can continue to increase food production, especially by expanding production on degraded pasture, as we bring deforestation down,” said Nepstad. And he is optimistic that if farmers are engaged in sustainable markets and REDD, the improvements in their production systems will lead to productivity gains and greater food security in their regions. According to Nepstad, the UNFCCC Conference of Parties, who will meet in Durban next week, should acknowledge the pressure of time and be innovative in responding to it. “Coming into Durban we need to look pragmatically at the fact that it’s going to take a few years to reach a new global climate treaty. We need to open up the debate and look at some of the other initiatives that are mitigating climate change in ways that really help agricultural communities and other stakeholders begin to adapt to climate change,” said Nepstad. CIFOR will have a team of experienced writers covering the climate change negotiations and events of COP17 to be held in Durban, South Africa from November 28 to December 9. Follow stories related to forests, REDD+, food security and climate change on CIFOR’s Forests Blog and @CIFOR_forests on twitter. Get involved in Forest Day 5, the biggest global platform on forestry and climate change, by tracking the hashtag #FD5 on twitter. CP: Could you outline the global land crisis, what the issues are and how the crisis is unfolding? DN: If we look at something like the rising prices of commodities, which we hear about through food riots, through hunger — what’s behind that rise? Basically the rise in demand for land-based production, including food but also biofuel, fibre and feed for animal ranching, is growing faster than the supply. It’s growing faster in large part because of emerging economies, which are moving closer to American- or European-type lifestyles, and per capita consumption getting a lot greater. The rise in supply is limited, because we’re not getting the yield increases that we used to for several decades. We’re playing out the end of the Green Revolution. Behind this there’s also a land shortage. We’re running out of room for agricultural expansion in the temperate zone, which means the remaining potential for expansion is largely in the tropics. Agriculture is running into species and culturally- and carbon-rich forests: this is one symptom of the land crisis. CP: Can you speak a little bit about possible solutions? Is REDD something that we should think of as leading towards a solution? DN: When we look at the global land crisis, the one thing that’s missing is a shared agenda of change that cuts across the many constituencies with a stake in this crisis. From those focused on rural poverty alleviation, to those focused on food security, to those focused on water scarcity and aquifer depletion, to those focused on biodiversity loss and the loss of ecosystem services… every one of those constituencies is concerned about fixing the global land crisis. And yet, there’s no shared agenda of change. REDD is an example of how something arises to fix one aspect of the land crisis, while some of the other groups don’t see their agenda addressed. Maybe that’s a mistake we made with REDD, we defined the agenda too narrowly and we didn’t really bring in the full range of people who are concerned about climate change. REDD is at a real crossroads. The expectations going into Copenhagen were not met; we didn’t get to a global climate deal that would have created a single price signal for carbon. That could have potentially led to a unified market for carbon, providing a robust, long-term, positive incentive for those regions in the world, those governments and private actors, that are actually lowering emissions from either deforestation or forest degradation or increasing uptake of carbon through growing new forests. As the hope for having this global treaty diminishes, we have to think pragmatically about how this is going to move forward. The 40+ nations that are moving forward at some level with REDD are a sign that there’s a real interest in this. That interest is primarily one of REDD as a funding mechanism. We need to go from that perspective to where REDD really becomes the first step towards a new model of rural development. Take the prospect of long-term funding for those nations that are reducing their emissions or increasing their uptake of carbon as the foundation for this new development model, so it gets to the water, food security, poverty alleviation and biodiversity issues we need to address to have a chance of preventing the most damaging aspects of the land crisis. One of the bright spots in REDD today, that expresses this plurality we’re moving into, is the Governors’ Climate and Forests Taskforce. It brings together 15 governments, including California. California now has a cap and trade policy that, hopefully, within a year or so will link up potential for international offsets from industries in California that have to lower their GHG emissions to comply with the new legislation, with these tropical governments at the state and province level. The process is three years old, and there’s a lot of social capital. The relationships between the governments are strong, and there’s a lot of trust. There’s the possibility for flexibility so that Central Kalimantan or Aceh in Indonesia, or Acre in Brazil, can design a rural development strategy that fits their own peculiar cultural, economic and political circumstances. This has been harder within the big UN framework. Another piece of the solution is something that’s taking place in markets with no connection to REDD. Big industry and buyers of land-based production are seeing a lot of reputational risk if production comes at the cost of tropical forests. They want to exclude from their supply chains soy or palm oil or sugar or cotton or beef that is part of that frontier expansion. This has created an interesting set of standards on buy-in from the private sector that wants a zero deforestation supply chain. I think there may be a big opportunity to merge those two. CP: What role might REDD processes play in moving forward on food security issues? DN: Right now there’s a risk of a positive feedback, a vicious cycle. Rising food prices mean forest conversion to agriculture becomes more profitable, and that weakens REDD, and as REDD grows weaker and the political will behind REDD diminishes, that feeds back, opening the floodgates for more deforestation. We’re seeing the potential for that in Brazil right now in the Amazon, and here in Indonesia palm oil is another vivid example of the potential for that vicious cycle. But REDD could be part of a virtuous cycle. REDD has not been effective in engaging farmers. The roundtable transformation of the market, which is saying, ‘give us a more sustainable supply chain’, has engaged farmers. They’re worried they won’t be able to sell to markets. And there are programmes today that are helping smallholders around the world come into compliance with these new markets that could breathe life into REDD. As these producers comply, their yields come up, the efficiency of their production systems gets better, so food security for the region could start to get better. That reinforces REDD, and REDD could provide the performance-based funding to help cover the costs of that compliance. We’ve yet to effectively connect REDD with how these supply chains and agricultural regions are responding to changing market conditions. In that there is a lot of potential for beginning to secure food supplies. CP: You’ve voiced a good deal of optimism about REDD, especially following the GCF meeting in Palangkaraya. What are you looking forward to in Durban – is there something we should be particularly focused on? DN: The Conference of Parties (COPs) provides a really important role of giving a chance for everyone to come together and share perspectives. We all want to see the UN deal succeed eventually, but maybe coming into Durban we need to look pragmatically at the fact that it’s going to take a few years. I think we need to open up the debate and look at some of the other initiatives that are mitigating climate change in a way that’s really helping agricultural communities and other stakeholders begin to adapt to climate change. Despite the crumbling economies in Europe and globally, it’s a real moment of pulling these different constituencies together to say, ‘we have a common cause here’. Whether or not the COP is structured to achieve that, I think it’ll be a useful debate. I have low expectations for major advances on the actual post-Kyoto-Protocol deal, but maybe there’ll be some surprises. 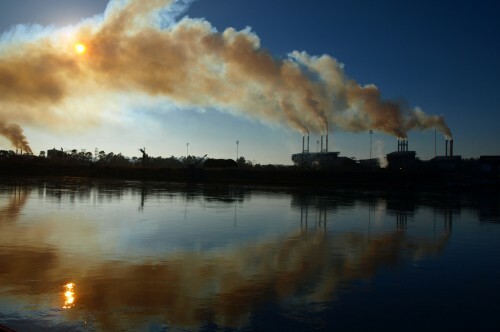 The leadership, it’s clear, has shifted away from Europe and the United States to Brazil, which has a very interesting emission reduction policy and its own commitment. Brazil is not asking the world to fund that, it’s moving towards that itself. China has begun to design its own climate change mitigation program with its own cap and trade. We see leadership coming from the emerging economies more so than the industrialised nations. We’re going to see a more prominent role for the governors and these sub-national processes that have been below the radar. I think now the governors are ready to show the world what they’ve been doing. CP: Brazil has been getting attention recently because of what appears to be a real success in lowering rates of deforestation. Are you confident that this can be sustained? DN: Brazil has done something that ten years ago everyone said was impossible – that is, to lower deforestation in the Amazon by two-thirds in the course of five years. We’ve looked at what caused that decline, at least through 2006, and it’s clear that it wasn’t just the government. The fact that the profitability of converting forest to soybeans went way down removed the economic muscle behind the previous surge of deforestation in 2002 – 2004. But we found the economic signal is about half of the decline in 2006. Brazil increased by 50 percent the area of the Amazon under some form of formal protection, either indigenous lands or parks – that contributed maybe 38 percent. But then there were interesting government interventions and market processes. There was a moratorium on soy. The slaughter plants said, following a campaign by Greenpeace, ‘we don’t want to buy beef that was raised on recently cleared lands’. Ranchers and farmers today are very nervous about deforestation. Under Marina Silva and her successors there were a lot of people who went to jail or received fines. There’s a black list for municipalities that are not doing well in controlling deforestation. Local governments take great pride in getting off that list. Now we’re at the critical inflection point. Those low prices have disappeared, there’s a lot of economic incentive to clear forests and put them into soy or cattle pasture, so now is a critical time to see if those gains will hold up. Farmers in Brazil don’t really believe that REDD is ever going to materialise, they’ve been waiting too long. But still Blairo Maggi, who won the Golden Chainsaw in 2005, left office in 2010 with a 90 percent reduction in deforestation achieved under his watch. Agricultural production continued to increase during that period. That demonstrates that maybe these things can be reconciled, that we can continue to increase food production, especially by expanding production on the immense areas of degraded pasture, as we bring deforestation down even further. Against this is a separate process, which is climate change. In 2010 we had the second ‘drought of the century’ in five years. Indigenous people had to replant their crops several times. There were huge issues: with fire, and the respiratory ailments that go along with dense smoke; rivers drying up; people cut off from markets and schools and legal support and hospitals – a real crisis. On top of this economic cycle accommodating a low-deforestation trajectory, we’ve got the fact that the whole region is being shocked by droughts and fires, changing the logic of the way farmers do their farming. So we’re coming into an interesting period, and we could find ways to manage it, but the markets will be a big part of this as will getting some sort of positive sign to both governments and farmers that REDD will produce some incentives. CP: Do you see these catastrophic droughts and fires as early signs of the possible dieback of the Amazon forest? Should we still be worried about that? DN: In 2000, in the Hague COP at which forests were basically removed from the Kyoto Protocol, Peter Cox from the Hadley Centre gave the first presentation in vivid map form of the forest dieback, and that was about the year 2080 – a long way into the future. What is frightening is that I think it’s a lot closer than we thought. We didn’t imagine that the northern tropical ocean anomaly, the Atlantic warming that leads us to a different pattern of drought than ENSO, would become so prominent so quickly. And the forest dieback as predicted by climatologists doesn’t deal with land use and fire and some of the vicious cycles when agricultural practices that depend on fire lead to forest fire, which weakens any tendency towards permanent agroforestry systems or other types of production that do not depend on fire. So I think we may be seeing the early signs of the forest dieback. In our own modelling, we think that by 2030 probably about 50-60 percent of the forest of the Amazon will be either cleared or damaged by drought or fire or logging. That’s pretty close. And it has huge implications for climate change, because about 20 billion tonnes of carbon would go into the atmosphere under that scenario – about two years of global emissions. We need to act quickly. We are seeing Brazil begin to move in the wrong direction politically. If we lose these forests the world will suffer greatly.